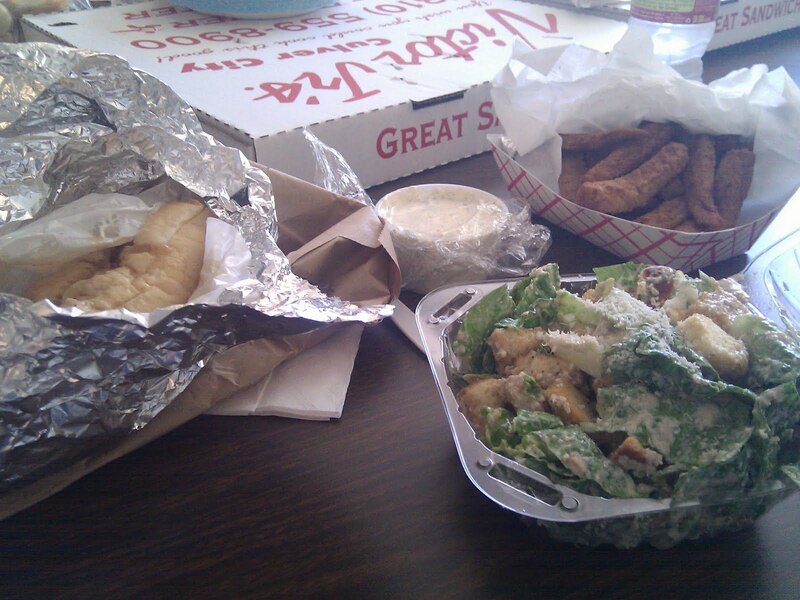 What: Caesar salad, chicken cheesesteak and zucchini sticks (w/ ranch). When: Today, just like five of the previous six birthday lunches. Result: Smile, followed by tummy ache.